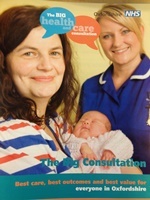 The video films shown as part of the presentations during the Big Health and Care Consultation public events are now available to view online, together with the audio recording of the question and answer sessions at events in Banbury, Chipping Norton and Didcot. To listen to the recordings and watch the films go to the Oxfordshire Clinical Commissioning Group YouTube channel . 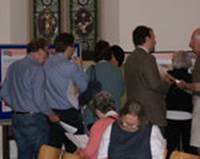 The audio recordings from other public consultation events will be available in the next few weeks. The Health Overview and Scrutiny Committee is made of up of county, district and city councillors and co-opted members of the public. 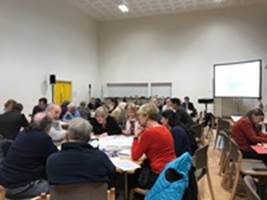 The March 7 meeting will be held at County Hall in Oxford to formally scrutinise the proposals in Phase 1 of Oxfordshire NHS’s Transformation Consultation and consider whether they are in the interests of local communities and health services in Oxfordshire. 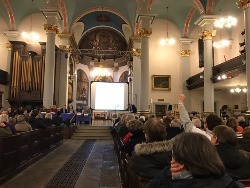 People can still apply to address the Committee directly via the following link https://www.oxfordshire.gov.uk/cms/content/get-involved-meetings). For the sake of ensuring that the wide variety of viewpoints are heard it is hoped that this will happen via different interests groups nominating one speaker to represent their overall view to the meeting. The Committee’s scheduled meeting on February 2 will discuss the NHS plans for communicating and consulting on the proposals, but not their content. 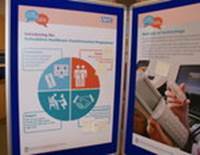 The NHS in Oxfordshire is today (16 January 2017) launching Phase 1 of the 'Big Health and Care Consultation’ to ask patients and the public what they think about possible changes to some healthcare services in the county. Since summer 2016, the Oxfordshire Transformation Programme has been listening and talking to a wide range of people across the county about how best to develop and improve health services. 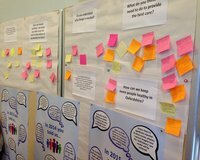 In June 2016, the Oxfordshire Healthcare Transformation Programme began wide engagement with patients and public across the county in its ‘Big Health and Care Conversation'. The Big Conversation describes the challenges for health services to meet growing demands and the projected gap in funding, but also the opportunities for thinking and doing things differently. The public consultation on healthcare transformation in Oxfordshire will go ahead in two phases next year. Patients, the wider public and other stakeholders can initially expect to have their say on options for changes in critical care, stroke care, ambulatory care - which reduces the need for hospital admissions - and maternity services. This phase of consultation, which centres mainly on services in the north of the county including the Horton Hospital in Banbury, is expected to begin in January 2017. The formal public consultation will last three months. No decisions on healthcare changes in the county will be made until the feedback on options has been considered. The second phase of the consultation is expected to begin after the county council elections, which take place in May 2017. 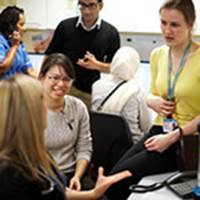 The NHS in Oxfordshire is seeking your views on how local GP, community and hospital services should develop to ensure services are of high quality, closer to home, more convenient with better access and can overcome a £200m funding gap by 2020/21. The Abingdon roadshow takes place on Wednesday 19 October from 9.30am to 4pm at Abingdon Community FreeSpace Shop, in Bury Street, Abingdon OX14 3QY (next to the travel agent and opposite H. Samuel). 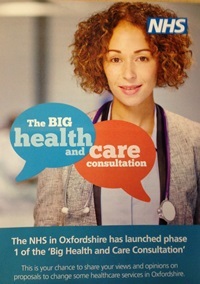 The Big Conversation roadshow, on Tuesday 6 September, offers the chance to drop in for an informal chat with doctors and senior NHS staff to share ideas on how healthcare services in Oxfordshire can deliver high quality care now and in the future.